Do you know what to do about a dog bee sting? Find out what happens, what is normal and when you need to seek veterinary attention. With bee stings, dogs typically have some swelling at the site of the sting, but it’s rarely life threatening. True allergic reactions are not common, but they can be life threatening. 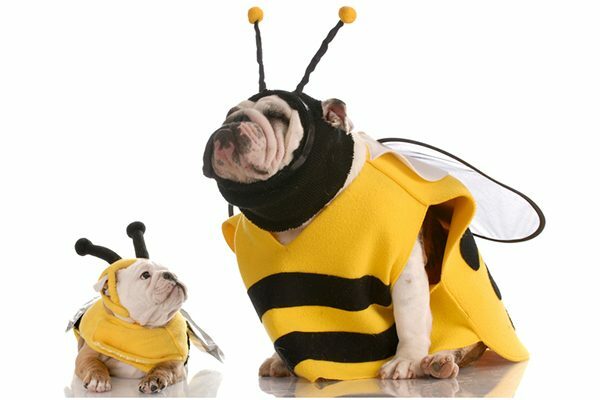 Dogs are most commonly stung by bees on the face or feet. Multiple bee stings cause more problems. You might not even realize your dog has been stung by a bee. If you don’t see the bee and your dog doesn’t yelp, you might not realize he was stung unless you notice swelling. See facial swelling or notice your dog breaking out in hives? Rush your pup to the veterinarian immediately. Some treatments for a dog bee sting provide quick relief. If you see the stinger still lodged in your dog’s skin, don’t pull it out with tweezers. This can squeeze more venom into your dog. Scrape the stinger with the edge of a credit card to pop it out instead. The post Dealing with a Dog Bee Sting? What to Do appeared first on Dogster.